Language changes with continued use, but changes—and acceptance of the changes—happen slowly. A usage guide answers readers’ questions on whether a specific usage has changed, how accepted it is, and some common errors in usage. One of my favorite usage guides, DEU outlines usage issues and advises readers on which styles of writing would best accommodate specific usages, but it rarely dictates what you should do. Writers and editors are encouraged to make their own decisions based on their situations. Garner’s is my other go-to guide for usage advice. Garner tends to be formal in his usage, but he often couples formality with common sense. Readers can use the Language-Change Index to judge how closely to stick to Garner’s formality. Discover even more online usage guides with this bookmark collection at Delicious. Erin Brenner has been an editing professional for two decades. 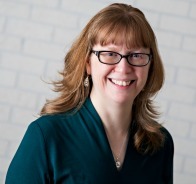 She founded Right Touch Editing in 2005 to offer businesses and self-publishing authors just what they need for editorial services: highly skilled editing, decades of expertise in publishing, and top-notch professionalism.